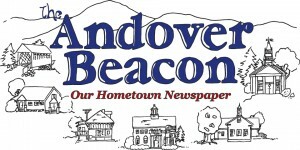 The 2019 annual meetings of the Town of Andover, the Andover School District, and the Andover Fire District voted to raise and appropriate their budgets for the coming year. The total appropriations (net of pass-throughs) are $7,928,332, up $193,021 over last year, an increase of 2.5%. Last year the corresponding increase was 2.5%. The meeting voted $51,100 for the purchase of the property known as the White Oak sand pit. This amount to come from the Unassigned Fund Balance. A Capital Reserve Fund for Forest Fire Equipment was established, and $10,000 was placed in the fund, the amount to come from the Unassigned Fund Balance. An Expendable Trust Fund was established for Transfer Station projects, and $15,000 was placed in the fund, the amount to come from the Unassigned Fund Balance. Warrant articles to add $246,454 to several previously established Capital Reserve Funds and to add $31,000 to several previously established Expendable Trust Funds were approved. These expenses will be partially offset by $2,954 from the Unassigned Fund Balance. The Warrant Article to raise and appropriate $224,257 for Elbow Pond Road culvert repairs was amended to $244,257 to correct a typographical error, and then approved. This will be funded by $61,064 from the Bridge Rehabilitation Capital Reserve Fund, and $183,193 from the Unassigned Fund Balance. The total appropriations voted were $2,443,547. Offsetting revenues reduces this amount to a net appropriation of $2,135,236. This is up from the 2018 net appropriation by $11,133 (0.5%). The Andover Fire District voted to raise and appropriate $168,647 as recommended by the Commissioners and the Budget Committee. Offsetting revenues reduce the net appropriation to $137,440.